Since a lot of drugstore brow products have red undertones, us people with light to medium, ashy toned hair, normally have quite the challenge trying to find a brow product, that will match our hair and brow color. But I found a drugstore product you guys are going to love on your brows! 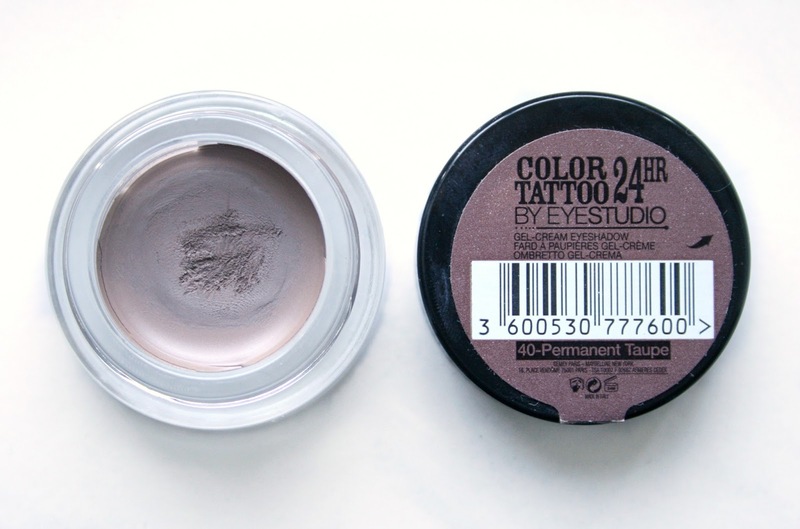 A few days ago I used the Maybelline Color Tattoo 24hr Cream Eyeshadow in Permanent Taupe (Tough As Taupe), as a base on my eyelids and I noticed how ashy it was in color. I wanted to test how well it would work on my eyebrows, so I grabbed an angle brush and applied it with a light hand, then I went into natural light and it matched my eyebrows perfectly! Before hand I loved it as an eyeshadow base, which it is made for, but I didn't know how well it would last on my eyebrows and now that I have worn it several days, I'm happy to say that it says put all day long. This product is definitely a cheaper alternative to the very popular Anastasia DipBrow Pomade and I even think this could work on you guys with darker hair, you might just have to use a bit more product. But we can hope that Maybelline come out with other matte shades, like dark brown, so everyone can enjoy this product on their brows. Permanent Taupe/Tough As Taupe (£4.00 - 48 DKK) is part of the permanent Maybelline Color Tattoo 24hr Cream Eyeshadow Collection.